This six year old gelding comes into this race off the back of two strong performances when finishing a good third two starts ago in the Group 1 Stewards Cup at Sha Tin and then he backed that up with an even better second in another Group 1 in Hong Kong. Will have to improve from those runs in what looks a tougher race on Saturday but not without an each way chance on form alone. 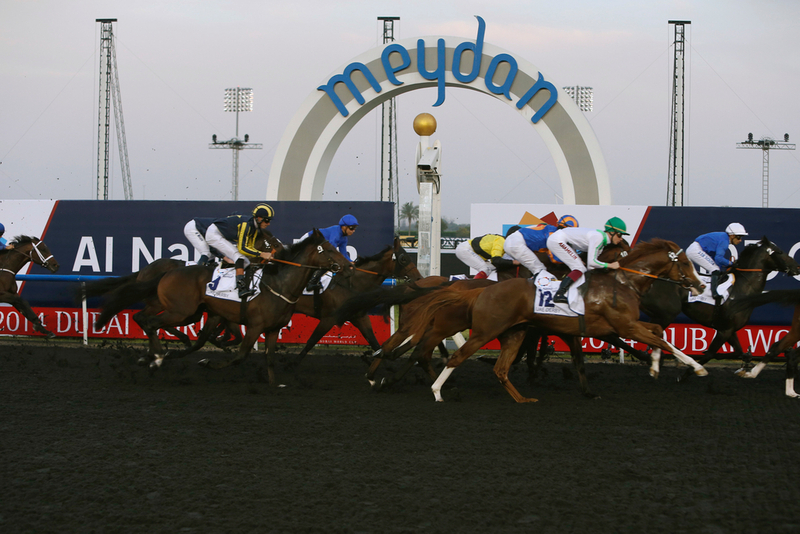 Saeed bin Suroor's first of two runners in this contest and the five year old looks his best chance to take the spoils coming into this race off the back of three straight wins at the Meydan track. He has got better and better with each run in Dubai landing a 16 runner Group 3 on his first outing and then backing that up with a classy win in a Group 2. His latest performance gave him Group 1 success and this impressive and very progressive gelding looks to have a great chance. This Japanese mare has form from last year's race to be able to get involved this year when finishing a good third in this Group 1 last season. Will need everything to fall right this year to be able to go better and may find a few to good this year but certainly not without a shout if running to the same standard as last year. Another of the Japanese contingent who has really made this race her own over the last few years, winning this contest back in 2017 and then finishing second last year. Her form does not read to well apart from those two runs in this race but if she can do the same as last year she can't be overlooked again. This four year old gelding will have to do a lot to go on and land this contest finishing a weak sixth on his only run this season which came over course and distance. He did finish a good second last season behind another runner in the race Yulong Prince in a Grade 1 race in South Africa but looks opposable in this sphere. One of the British raiders and Lord Glitters can only be given each way claims from his form over in England last season and will have had to come on a lot during the off season to be involved. He is a strong traveller who has looked at his best over a mile when winning a Group 2 contest at Ascot and finishing a good third in the Group 1 Sussex Stakes. Must Improve again his first run since October. The horse that the rest of the field has to beat. This Japanese filly is very well regarded in the racing world at the moment being unbeaten on all five of her starts to date. Her last four races have come between 1 mile and 1 mile 4f all in Grade 1 contests with the latest being a brilliant win in the Japan Cup which clearly sets the standard in this Group 1 on Saturday. The only runner from the great Aidan O'Brien in this contest which always means you have totake notice and this filly looks to have a lot of potential off the back of her exploits towards the back end of last season. She finished a superb neck second to the Cartier Horse Of The Year Roaring Lion on British Champions Day at Ascot in the QE II Stakes and coming back at Dundalk in a minor event last time out sets her up for a bold bid in this contest. Again this is another horse that we can oppose in this race not really being at the same level as some of the better horses in this race. The five year old has won nicely on his last two starts over 1 mile 2f and 1 mile 4f in handicap company and it just looks like the drop in trip will halt his progress and his efforts for a hat-trick. This four year old looks to have some good form coming into this contest not finishing outside of the top two places on all of his five starts. Although this his toughest test to date he did win a Grade 1 over 1 mile 2f in South Africa last time out that does read well and if improving from that run he could well and truly be in the frame. Another one of the few British raiders on show at Meydan on Saturday and this just race just looks a bit too good for this five year old at this stage in his career. He did go on to land a Grade 3 last season and also finish a good third in the QE II Stakes on British Champions Day at Ascot but on his two runs at Meydan this year it would take huge improvement to see him feature. This son of Frankel started his career brilliantly being unbeaten on his first four starts and on his last win to date he landed the Group 1 St James's Palace Stakes at Royal Ascot. Since that run he has been very disappointing finishing seventh out of eight runners at Glorious Goodwood in the Sussex Stakes and then sixth of eight runners in the Juddmonte International at York. Needs to find his best form to be involved here. The last of the 13 runners but certainly not least is another of Godolphin's assault on the contest with Wooton. He has some strong form over course and distance coming into this contest and has each way claims. Last time out he finished second behind Dream Castle in the Group 1 Jebel Hatta at Meydan and with William Buick on board again he can run a good race.